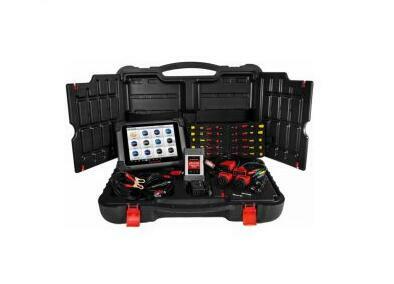 We wanted to see how well this new Autel ms908CV tool works, so we put it to the test against the best multi-brand diagnostic tool on the market. 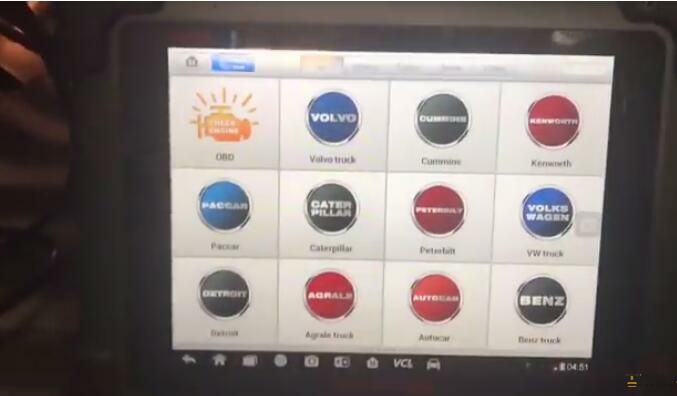 We go through everything on the Autel including total vehicle scan, fault codes, bi-directional commands, and more. I am here today, we are hooked up to a 2017 Peterbilt with a car engine. I want to tell you how this works with the Autel scanner. 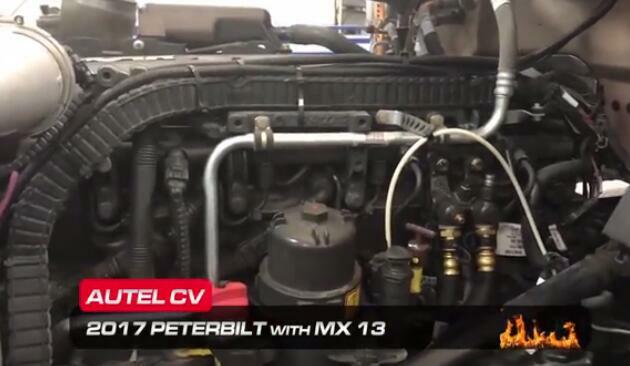 So we first entered the commercial truck world system on the Intel maxi sis commercial vehicle. This is how good all the new automatic options are. So the way you work is that you will first enter here. You basically go in and tell it how to read the VIN number and Try to figure out what you are trying to adjust my camera where we go. So we will be doing various things in real time here so one of the things. 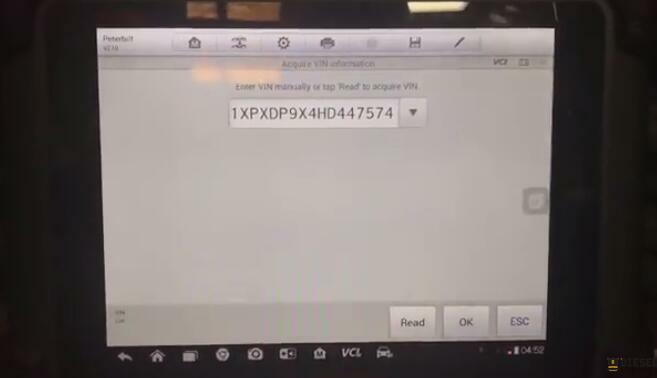 I don’t like this tool is that it took a little time so there it reads we are going to click The VIN number is ok and it will encode the VIN number. So you will notice it’s first thing it didn’t appear right. 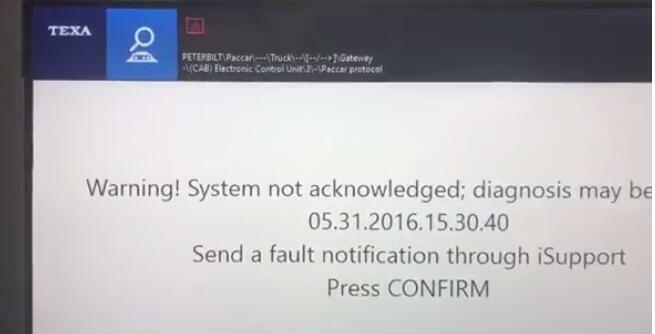 It’s called 1987 Detroit, this is the 2017 Pat car engine so we just need to click Yes, Then use the auto-scan button, which is a part that takes longer. I think it should really compare with us. The kind next to Texas Artur makes you side-by-side comparison. This scan takes a little time, so What we want to do in the video is that we have to fast forward and come to the end here, we will add in the actual time. Point it needs to do a full vehicle scan, so it’s now scanning everything through, but anyway, good to go fast forward things are good now, because you can see it now it took a little time there but it really does it really Filling in something. 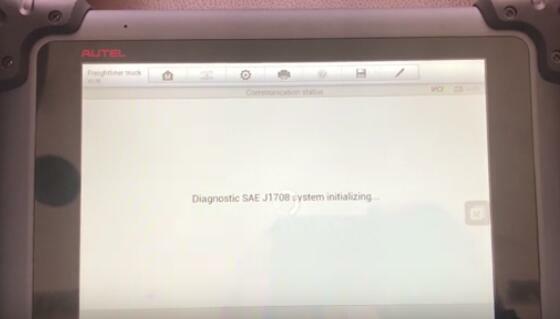 So the question is, what does it mean to fill this SAE standard? Every truck in the world has such general information that you can read with any type of code or that is not important, the next two programs are What makes us still look at the diesel injection of the Pat card, so what we are trying to figure out is what level of functionality we have there so let us enter here and let us see what we are, even if we did the scan, I can It took a bit to find it, so let’s go to the ECU Info tab. This information looks very good. 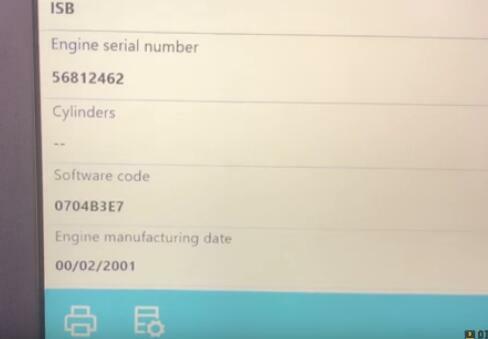 It actually presents the correct VIN number part number and Pat car software version and all these things I want just a door fault code. 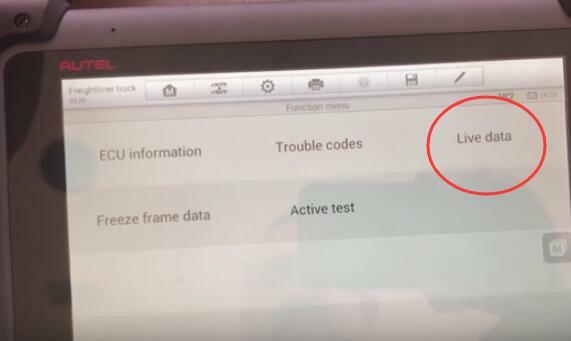 The page let us see what the code is pulling up so we got four code it tells them to be alive Still inactive which is fine, here the freeze box button is not really lightened or anything then this search so there is no fix information here they do is they have a search button you can click, this will do what this will be on google It will search your code for Peter Bildt ttct zero or two, and try to give you something on Google. 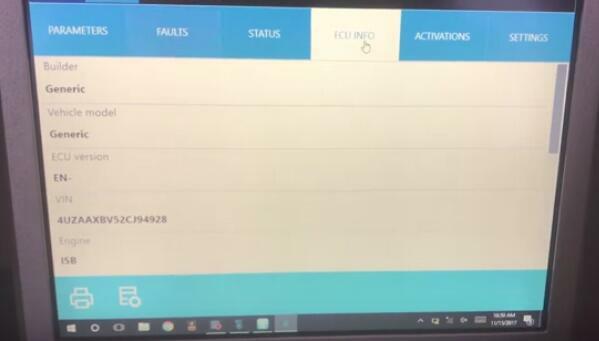 The repair information is obviously lacking, but it is better than nothing, so let’s go one step further, this is We are there so we have to go back, now we have to try this SCR system, see what is different here, let us enter that guy, okay, I click on it again, okay, then it’s okay, so now it says EPA 10 or 13 this is An absolute EPA 13 so let’s go there let us see that we get an ECU information so once again more information about the emissions system it is taking it as a wrapper and my MX imaging and all the trouble code you should have us. 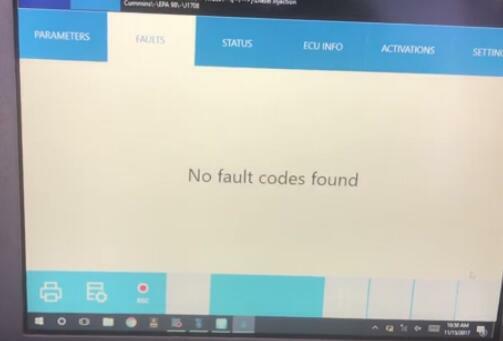 The exact same fault code again, what do we have to really do anything except we know that there is a code that escapes at the same time The real-time data here they actually have very good data all the things they have broken down into groups so if we get here and we click on the overview after treatment it will actually extract a list of all the codes that contain you after the treatment system is not Code I am sorry that the live sensor values are correct, you can draw them by reading them and do all sorts of things to do all sorts of things so if you want to read a bad one let me do this one here, So you want to put the chart ch art you can easily change it to do so pretty pretty gadget parameters read it again parameters are not too much you know the real problem is the feature active test we can do five commands so no Terrible, you know it’s not very good, we can do the biggest regenerative DPF we can do, let’s see if we can really get into it or even the truck is not running. I don’t plan to do it here, so basically say that the conditions are met. We have to start the engine and do all the things we won’t do, so I will evade it. It looks like it is like it would do it. We don’t actually have Test to see if it works, but at least the command here, so let’s assume it has only five commands, so it’s not too scary we didn’t read the last tool. Oops, you will quit at the end of the day. We don’t read it. Not reading ABS. Instead of reading the cab controller. 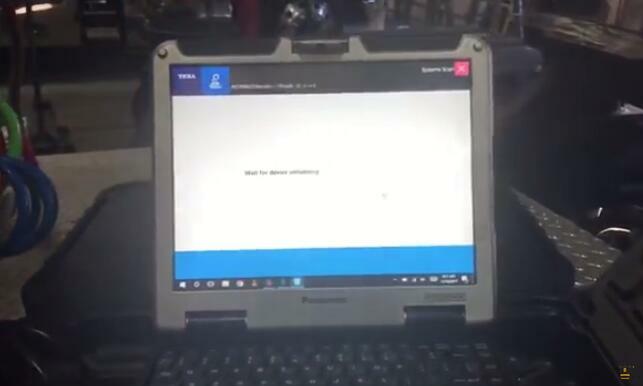 I don’t know what other computers are, but we have to use the text of the tool neck to try, so here is a short pause, we will hang our text tools on the same truck, so stick to everyone Tyler used these two laptops. We just talked about the UH tail tool. 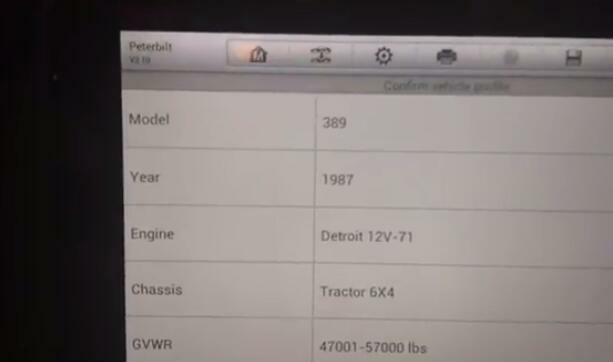 If you are watching the UH tail video, we get the exact same engine charter on the same truck, and the VIN label 2016 it was in 2016 11 Made in the month, so it is actually 2017, I will navigate to the place we need to go to such a heavy American, this is a Peter Bilt sorry that I do this mouse left scorpion here Peter Bilt you can hit the VIN number to find If you want to pull up VIN just to see what it will do, but it basically only chooses to tell you what engine you have. We chose a car engine. We click on the system scan and then we hit the next one. It’s easier for us to capture the laptop and pull it to the back of the truck, because it’s easier for us to shoot because The tools are wireless, auto one is also a bit forgotten to mention in the previous video so our ones are our tail unit sitting there we will stop scanning so what is being done now it is very similar to that tail unit, but You will find it much faster. It is basically the whole truck trying to figure out what the engine is. What model abs transmits the cab controller to the whole thing so you remember on the UH telling unit it really only picked up two computers Used for engines and some general sae stuff, these are worthless, but anything can do this. Let’s continue to look at this thing almost completely scanned here so you know Attell we have to be fast in the video Go ahead, yes, we work in the store here with various background noises I just have to finish it so just finished, no matter what it will take, it will take a few minutes to run one. You ask the full scan so I did a lot of trying to figure out where it is What is the year, so the first thing is to let us check the diesel injection method, this tool is good Yes, you can hit the DTC and detect it telling it I don’t know what they are, but it tells it to have the code, so we can click on it and then we can press this button here and enter the system just fine so now we actually To connect to that particular engine ECU let us see how good it is or how it compares to Attell, because yes, if no one has used the tool, you know it is actually not that bad, or he gave us Code, you can see all the data, we can run four or five commands that look like some very common commands, but we are missing something, so let’s find out so first all the parameters are very similar to the eyes telling me. There are 82 of this particular ECU I can get into here and double click on any of these and the graphics they are like the fault screen of that unit, you can see that we implement the code you are extracting now than we use Attell and text as a couple of advantages More, so let’s take a small thing like a frozen frame, for example, on the Pat car code. What you do is get a little freeze-frame button here, this will tell you what these sensors are showing you when these code settings, so that when you try to solve intermittent problems or work abnormally, this information may be very good The great gadget text has some built-in fix information, so I can click on the help button and you will see that it will actually give you a very good page, fix the code on different things so not only So, but if I double click the code of Heavy Duty Scanner. 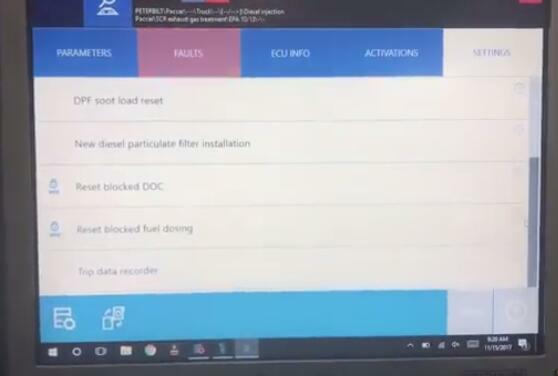 I got p0 one or two we have built our own repair software, you can get all the kits for free, tell you how to solve it so I have to choose I have chosen PACCAR I will choose 2013 emissions and the code is p0 pair One we just double click on it. You can read all the information you want to know about the code. Maybe you need to solve a lot of good information. You can tell everything you need to know about that piece of code. 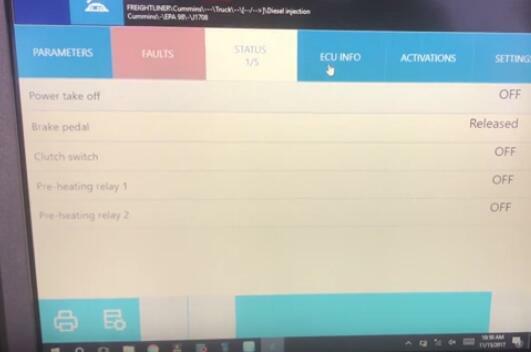 Let’s go back to the ECU information that the same employee saw on Attell so now let’s talk about activation and setup so that this screen has only one Delete Aires setting. 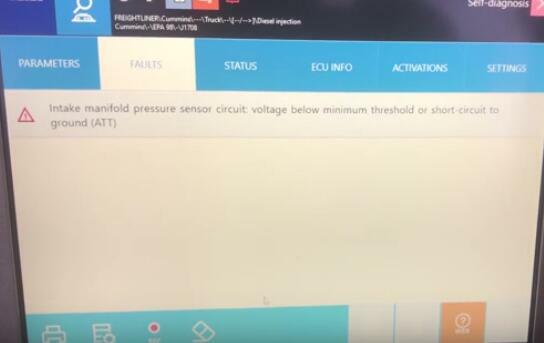 I just want to quit, because there is still a computer that can connect to you, how do you know how to reach it so diesel fuel injection has one for the STR system, so we just fell in love with this PCI system, this SCR system is another And there are more commands there, so I have to confirm that we are going to log in to this one, so this one takes a second. It tries different bus buses. You can think that your computer is a big network and you are at high speed. There are different lanes on the road, so the bus one lane one can be the bus two lanes can be the bus three lanes three campus general general engine can bus two general? 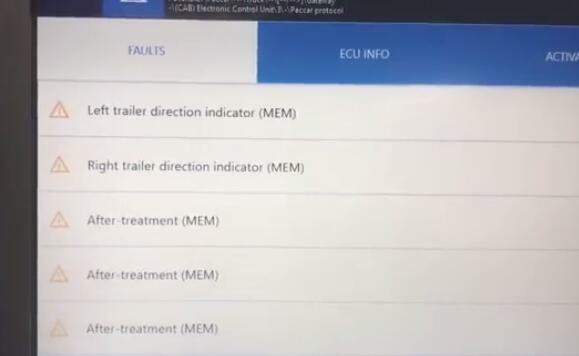 All other BS cab controller HVAC transmission, but now in Campus III is the new one they added and some original equipment manufacturers have moved traffic from the engine to the canvas three, so exiting a bit must be done by looking at all the buses and figuring out the location of the traf fic. Here, we see again that these are the same code you saw before the 67 parameters. It is important to activate so you are doing more testing here. 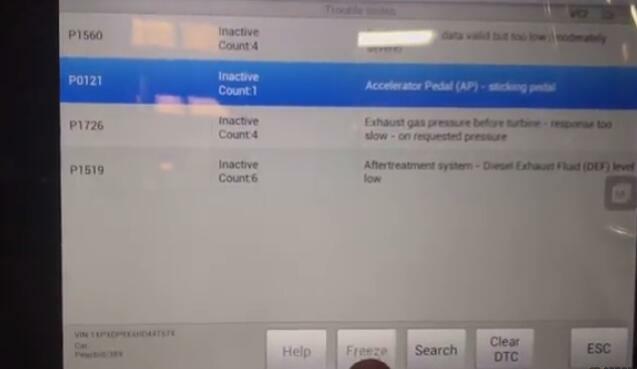 You need to be able to run all the AdBlue commands on the truck when you are out. Seeing some other important fuel metering modules is obviously an important fuel doze test important level command. 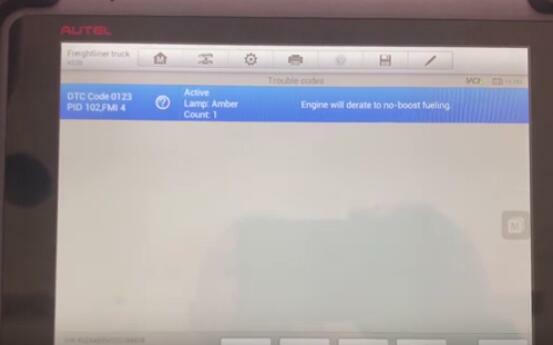 You can click on the small question mark on any of these buttons, they will tell you what happened to these commands, I don’t know if I don’t remember seeing Everything in the hotel tool I can click to set, and here are some other things, such as no DPF filter can do a strong regens you research this ash load and more of these commands so in a nutshell you compare the two you know If you don’t know this better this autel tool actually you know it can hook up to read the code to do some basic stuff but when you jump up the price and go to another tool you obviously can see there one at this time Functional levels at www.obd2tool.com vary widely. Hello everyone,Tyler with decent laptops we are hooked up to a school bus. This is a 2002 with the condoms. It’s actually got a check engine light on and we’re hooked up with our on tell the Autel MaxiSYS MS908CV again. 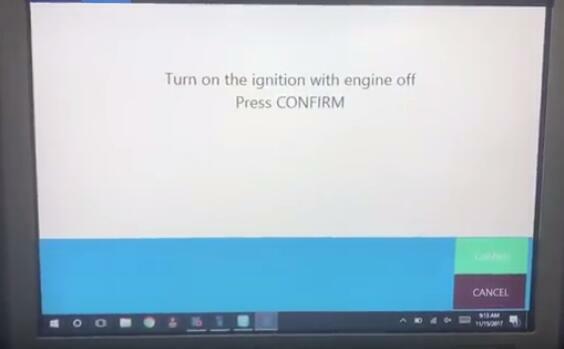 We’re gonna compare it and we also have an allison transmission here, so we’re gonna go compare it to the texta tool so i’m sitting back here slow them away from the engine noise to make a little bit a little bit quieter for the introduce. So we’re gonna scan this one did not take too long it only took a couple minutes way shorter than the others and it came up and basically said hey. I got some different things going on here so again these essays standard these ones don’t worry about those even buy a Bluetooth reader to read that generic code stuff we don’t care about that but we do won’t care about how good this MS908CV is. when it comes to Heavy Duty Truck diagnostic Scanner it’s the best one, We ran across if we come across a better one obviously going we’re happy to tell you about it ECU information again generic information serial numbers product ID torque great all pretty much easy stuff to do and trouble codes so uncommon ‘s at least on the pre-2007 an older one the Attell tool does a much better job. 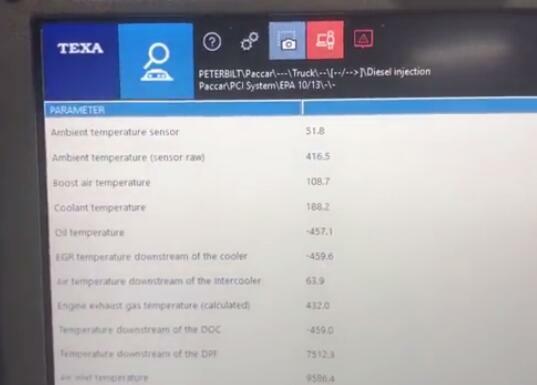 It’s gonna give us the PID in the FM i and it’s gonna give us the actual diagnostic code which is zero one two three. 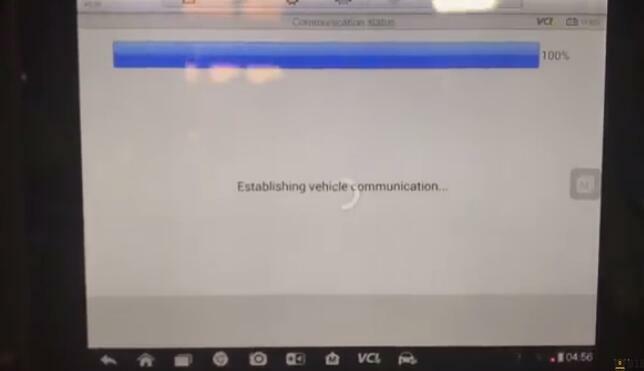 I can hit the button and it’s got some built in repair information for that code so Cummins is the only one we found that has built in repair information everything else kind of just goes on the internet to try to find it. So we’ll hit exit here and then we’ll go back one more menu as well and we will go look at live data and all parameters. I’m glad you know I kind of like they don’t have a bunch of groups. You’re like on the other ones I get. Why they do it there’s just so many of them that tassel and go to scroll through hundreds of them as a pain in the button. so it’s obviously reading reading everything just fine so that’s that’s good to see. 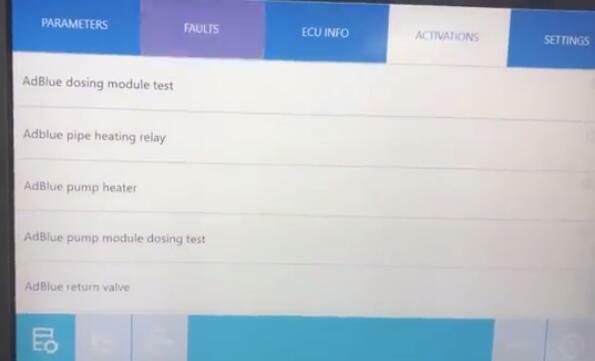 we’ll go back and back one more menu and let’s go to active tests so in this particular engine we only have two tests. the fuel pump lift override pump lift sorry fuel lift pump override and the cylinder cut out tests. If I go to special functions we really only have the maintenance monitor that’s all we got so no it doesn’t support it so not too much. we can do for functionality wise. let’s go check out the transmission real quick since we’re already in here transmission okay. let’s go into this thing and give it a shot you better get it okay. They’re guys just a little wagon. It’s like a second or third time that’s happened to me. Let’s get in here and as you can see another little weird thing here. It’s called at Freightliner orcas Argosy no it’s not. It’s a Freightliner Bluebird bus is what this one is and again we can read ECU information look at live data I would not expect it to have any repair information in here. 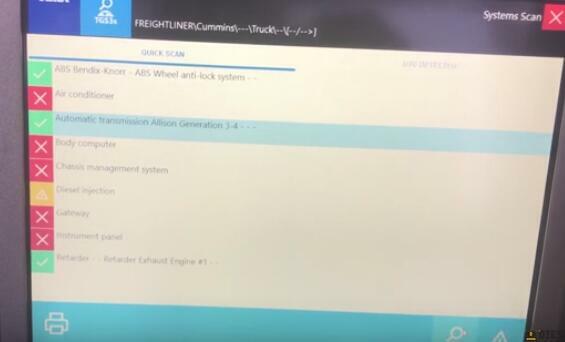 I was kind of hoping they had a code so we could see if it was reading the right code the P codes is what you want to read on an Allison Transmission. Some tools will read the SP on FM I and those don’t really convert easily to decodes and then there there was a slug of tests available as well which is good to see. 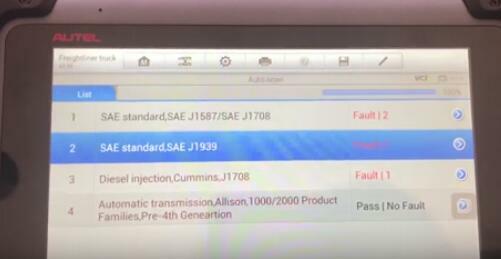 So even on an older Allison transmission from 2002 which must be like a gen 3 we can do some stuff which is cool. 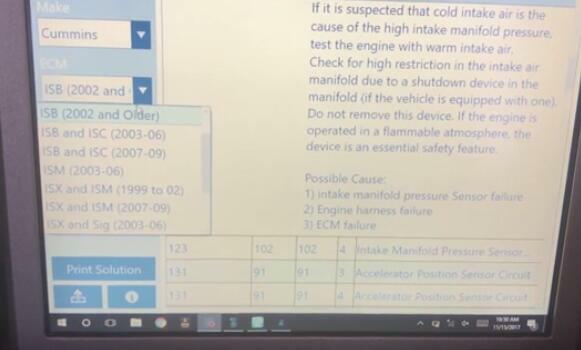 So anyhow there is the auto tell Maxis CV from www.obd2tool.com with an older Cummins now reason the J 1708 stuff and an Allison pre fourth yeah so, It’s at least a third generation maybe even seconds makes it W Tech to even but anyhow there you go we’ll compare it now to the text tool. Alright everyone we’re hooked up with our Texan around little low on battery here. 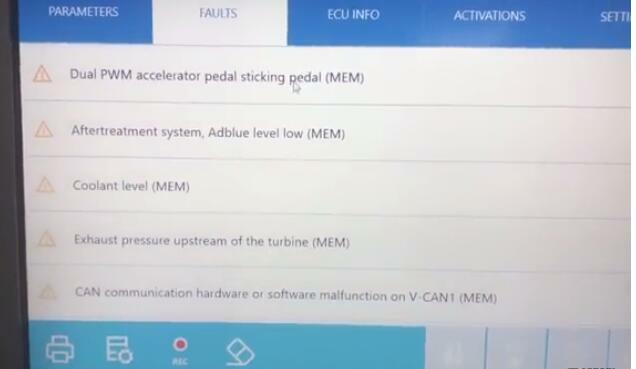 So I’m gonna go fairly quick but we did a global scan we can see ABS transmission engine and the great and we’re going to go right into the engine. We’re gonna go into the J 1708 side of it the reason there’s two is because on these early 2000s they used a 1939 and J 1708 in a lot of circumstances alright, so you’ll see that quite a bit so first of all there’s our code we can click it one two three PID 102 fmi four and there’s no repair information in tech stuff however the diesel laptops situation we can easily come in here we can find Cummins we can find our ISP 2002 and older and we have all the codes in here right so codes codes codes and more codes. 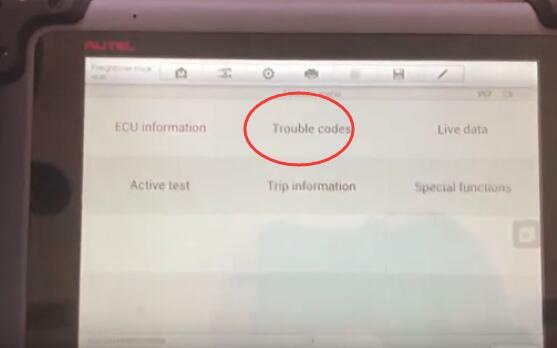 I’m going to go down to code 123 which is where we work we have pictures of it alright and we have you know the full-blown give any repair information on it as well. 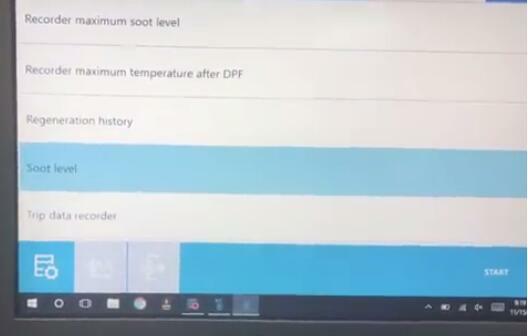 We do have knowledge base that also goes in-depth to give you full blown repair information as well comes free for the life of the tool status see. 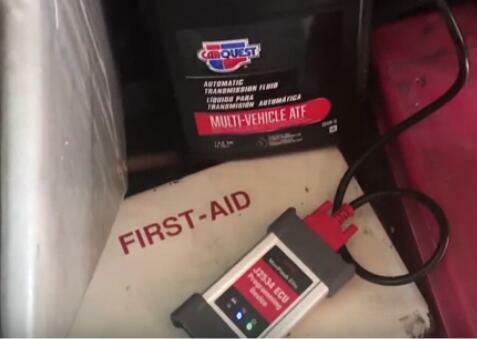 When it comes to the functionality of any diagnostic tool, it is where the rubber meets the road. And do you want to know honest opinion of Autel MaxiSYS MS908CV Heavy Duty Scan Tool? Well, MS 908 CV excel beyond expectation. 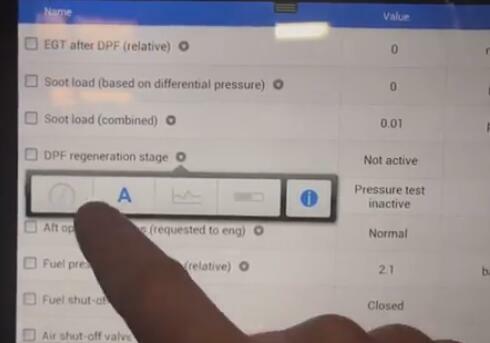 Here are the features and functionality that set this diagnostic tool apart. 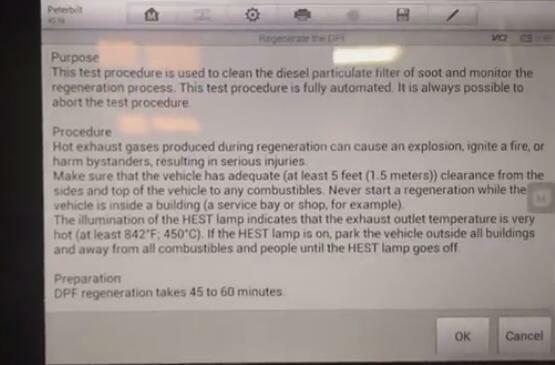 This truck scan tool demonstrates a high level of accuracy in establishing and resetting of DOC/DPF. 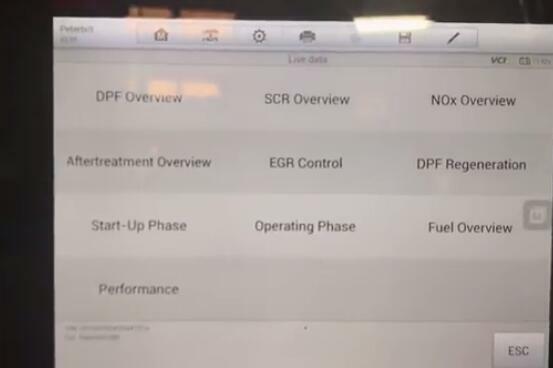 As a result, you can confidently read and clear DOC/DPF data using MS 908 CV. 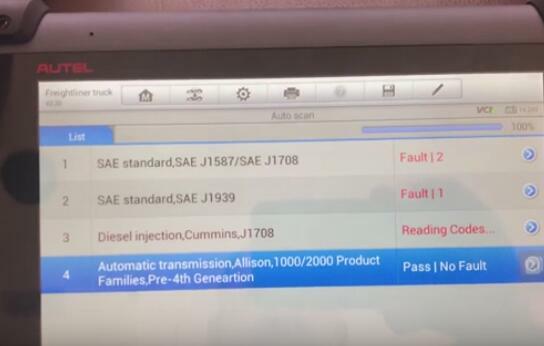 Autel Scan Tool MS908CV doesn’t stop to amaze as it allows you to perform DPF regeneration, configuration, as well as maintenance monitoring. 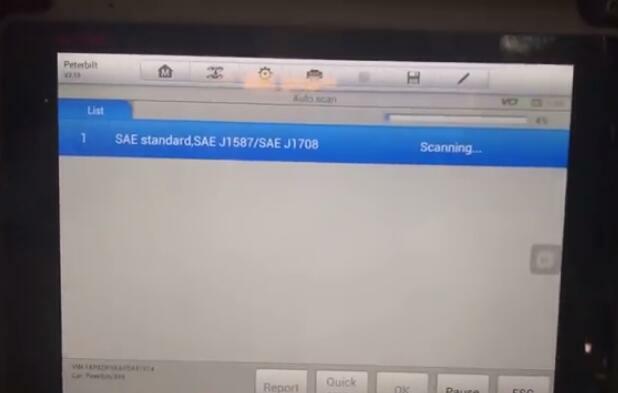 If there is any problem with your fuel system then this scan tool device will definitely help you to diagnose as well as reset it. 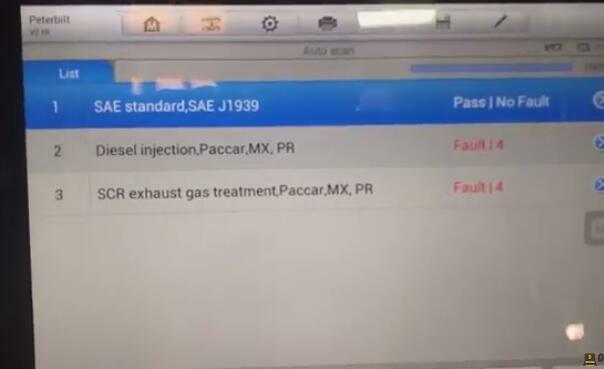 On the other hand, you can be able to reset injector CEOM as well as do O2 sensor calibration on your vehicle. It further allows you to do injection quantity adjustments, De-Aeration of DSI system, calibration of MAF sensor and parameter setting. You will be amazed by the number of after treatment services Autel MaxiSYS MS 908 CV Heavy Duty Scan Tool provides. The services include filtration installation, matter sensor regeneration, SCR system health check and cold soak override. 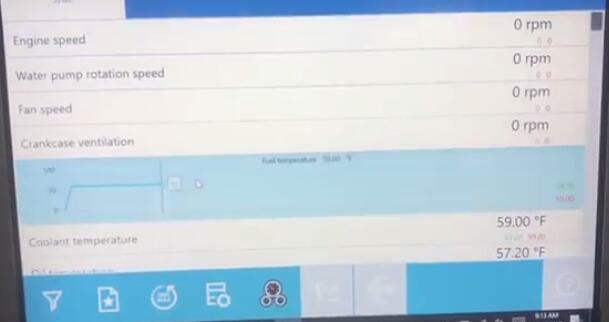 Other functions that you can accurately undertake with MS 908 CV Heavy Duty Scan Tool include calibration of rack sensor and calibration of injector trim. 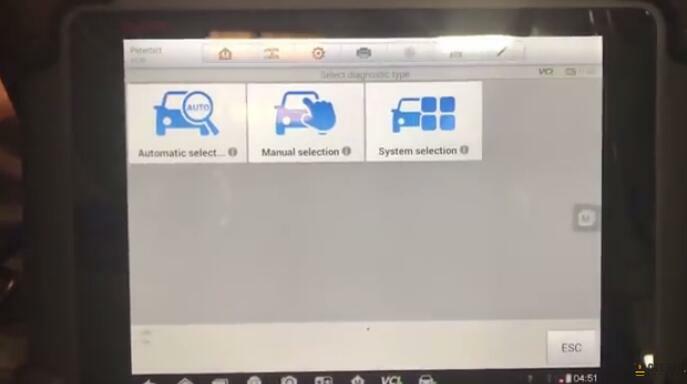 If you are looking for a device that can connect wirelessly to your car then MS 908 CV Heavy Duty Scan Tool will exactly do that. In fact, you can be able to take a reading and clear codes in up to 230-meter working range. It is equipped with the ability to record and playing back data. 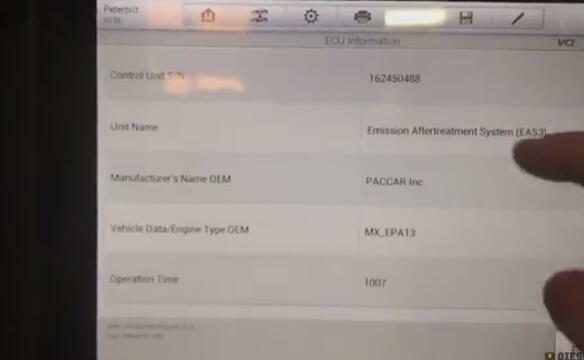 It implies that you are able to access the data even when you are not near your truck. 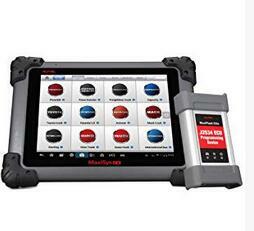 These features and functionality make Autel MaxiSYS MS 908 CV Heavy Duty Scan Tool to stand out of the crowded market.